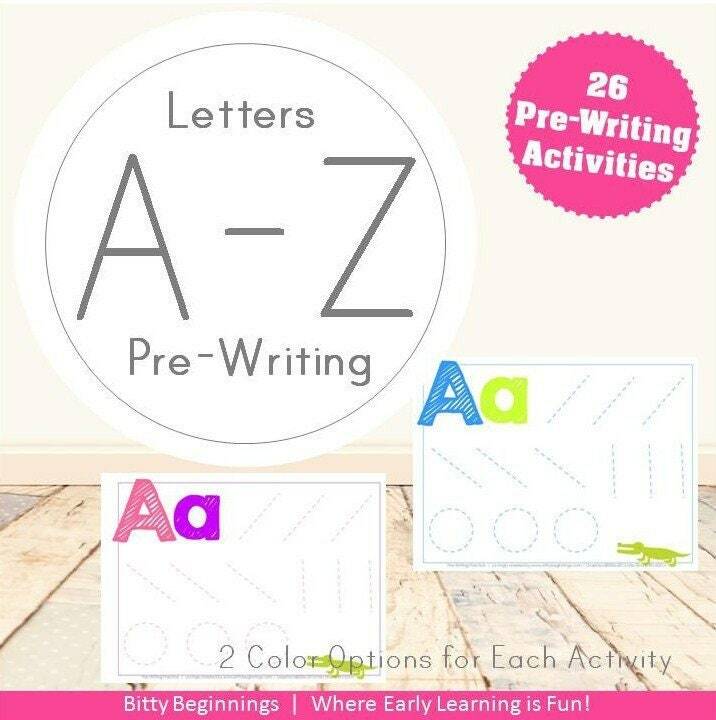 The A-Z Pre-Writing Set is composed of the pre-writing pages found in our Alphabet Letter Learning Pack series! These activities offer little ones a fun way to explore the shape of each upper and lowercase letter of the alphabet! If you have a little one who is beginning to recognize letters and their sounds or are a teacher with a class full of little ones eager to learn, these play dough mats will help make learning fun for the little one(s) in your life! This set includes 26 pre-writing pages available in both pink and blue color options! Once payment has cleared, you will be able to download your file immediately. Due to the nature of our digital products, all sales are final. No refunds provided. If you have any questions regarding how to use these files, please contact me prior to purchasing. If you have problems opening the files or receive error messages, please contact me and I will be happy to help fix the problem! Promotional codes will only be accepted at checkout during the time of purchase. I would be happy to answer any further questions. Please contact me prior to making your purchase, as no refunds are offered on digital files.